All health funds are accepted, with HICAPS facilities on-site to process your claim immediately, and eftpos processes a range of payment options. Pensioners receive a 10% discount on all general dental services at Woonona Dental. At Woonona Dental we are committed to providing the best possible dental and oral treatment to ensure a better quality of life for you and your family and each patient is provided with a tailored treatment plan to suit your budget. To ensure that you can access the best treatment when you need it most we are excited to offer you a simple interest free direct debit service managed by DentiCare. A direct debit payment plan is a convenient and affordable way to pay for the cost of dental treatment over time. It isn’t a credit or finance product so you won’t pay any interest or have to go through complicated finance checks. A Payment Plan can be used for a wide range of general dentistry, cosmetic dentistry and orthodontic treatments. You can use a payment plan for teeth whitening, dental implants, crowns and veneers and most other dental procedure. Now there’s no reason for you to delay your treatment. 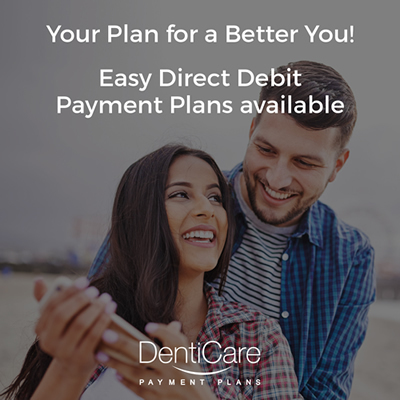 Ask us how a no interest DentiCare payment plan can get you into treatment straight away. Contact us today to discuss what payment plans available for you!